If you want to make sure Santa Claus gets your wish list this year, you will have plenty of opportunities to visit him. Here are just some of his 2017 Memphis area appearances. Be sure to check out local Christmas parades for other opportunities to see Santa. In addition to plenty of light displays and holiday activities, you can visit with Santa during Memphis Zoo Lights nights, which are Fridays and Saturdays from November 17 through December 30. The Enchanted Forest is a quintessential Memphis family-friendly activity. This fantasy-land is located in the Pink Palace museum and features dozens of decorated Christmas trees, animated winter scenes, a gingerbread village, and more. It's open November 18 through December 31 in 2017 and admission is $6 for adults and $5 for kids and seniors. At the end of the tour through the forest on select days. Santa is ready and waiting to visit with the kids. A photographer is on hand, but parents are welcome to take their own photos, too. November 18 - December 24, 2017. Packages range from $10 up to $60. The Memphis Pyramid will be transformed into a Bass Pro Shops Winter Wonderland for the holidays this year, and Santa will be available for visits with the kids starting in November and through Christmas Eve. Santa Claus will be at the "Mistletoe Village" from November 24 through December 23 in 2017. This year, the Village will be at the First Tennessee Foundation Visitor Center at Shelby Farms. Learn more about the overall Starry Nights Celebration on the Shelby Farms website. Santa Claus will be in Olive Branch's Old Towne in Mississippi on November 30 for the Olive Branch City Tree Lighting, on December 4 and 5, and again on December 7. There will be ChooChoo Train Rides, Carriage Rides, caroling, and hot chocolate on some days. Check out the full schedule. You will be able to purchase professional photos or take your own. Santa will arrive at The Avenue Carriage Crossing on November 18, 2017. Santa will stay through December 24, 2017 and will be available for photos. Santa Claus usually arrives at the Oak Court Mall in mid-November and is available for photos through Christmas Eve, but his exact schedule has not been announced yet. Santa Claus will most likely be at the Southland Mall again this holiday season. His arrival date is TBA. Santa Claus will arrive at the Wolfchase Galleria Mall's Center Court on November 3, 2017 at 6:30 p.m. He will then be available through December 24, 2017 with select hours. A photographer will be on hand to take pictures. You can also take your pet to have a photo with Santa at the Wolfchase Galleria Mall on Sunday, November 12, 2017. Sponsored by St. James Catholic Church, the Santa Claus House was a Memphis tradition for more than thirty years. Located at 1491 Wells Station, the Santa Claus House offered a personalized Santa experience. 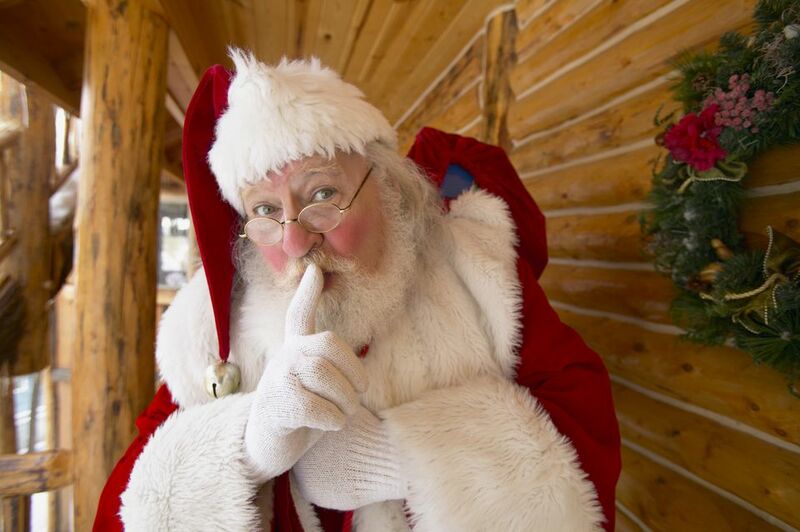 As children approached Santa, parents were directed to a sound booth where they told Santa about the child via an earpiece carefully concealed in his ear. If you just can't manage to get to one of the Santa spots this year, your child can send an email to Santa and get a personalized one in reply! Santaland.com is offering this service free of charge.